The Obama administration has repealed the “wet foot, dry foot” policy that has been in place for over 20 years, which gave legal status to any escapees from Cuba who reached US soil. On Thursday, Obama declared the repeal of the “wet foot, dry foot” policy would take effect immediately, meaning that any Cuban who now arrives in the US risks being sent back to their country. At the time, more than 35,000 men, women, and children left Cuba, and braved the shark-infested waters of the Florida Straits in makeshift rafts to reach the US. Once they were on land (“dry foot”), the policy allowed them to stay, while any citizens found by the Coast Guard (“wet foot”) were forced to return to their country. Since then, the Cuban population in the US has grown to over 2 million, making it the third largest Hispanic population in the US, according to a Pew Research study. The study also found that a surge in Cuban immigrants entering the US happened after President Barack Obama began normalizing relations with the country in 2014. The surge continued into 2016, where they found a 78 percent increase in immigrants from Cuba from October to December 2015, compared to the same quarter in the previous fiscal year. Current figures from US Customs and Border Patrol (CPB) show an exponential rise in the number of visa-less Cubans who have encountered the US Customs and Border Patrol (CBP) at a border point of entry. 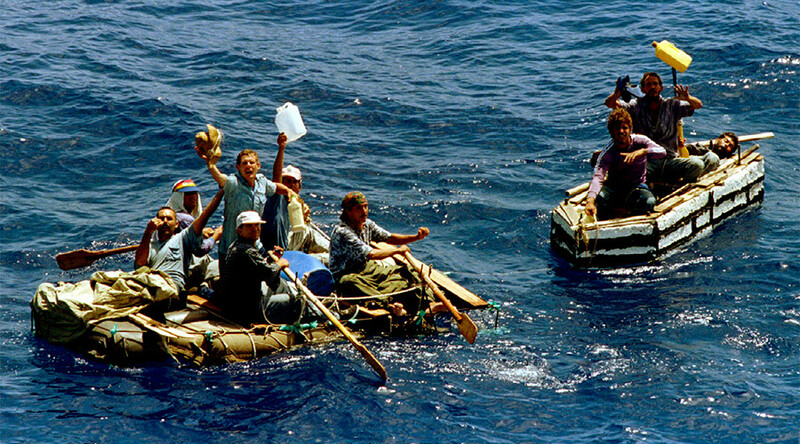 A May 2016 report from the Center for Immigration Studies, an advocate for limiting immigration, says that a “primary pull factor” for Cuban immigration is the “wet foot, dry foot” policy. In 2014, Obama opened a new chapter in US relations with Cuba, ending an embargo that lasted for over 50 years, and reopening the US embassy in Havana in 2015. “By taking this step, we are treating Cuban migrants the same way we treat migrants from other countries,” he said.